� Bruce Wayne returns as Batman-and sets his sights on The Penguin, who in turn has his sights on Batman. Plus: Time is running out as Batman works to uncover the secret of the dread Dollmaker! 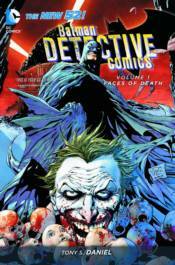 � Collecting DETECTIVE COMICS #1-7.